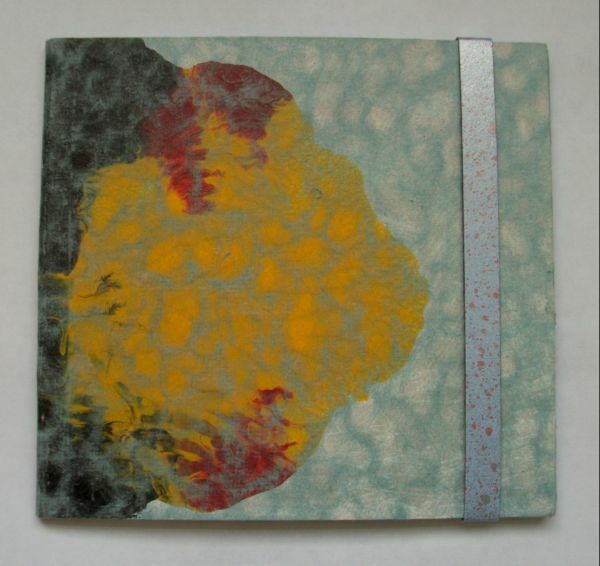 Released in a hand made paper covered stiff outer, pro art, and printed discs. Limited edition of 60 . Almost a year ago Rob Hayler ( Midwich ) reveiwed a compilation cdr here at Striate Cortex, it featured at Radio Free Midwich , and after stunning words on the whole release , we spoke via email … Since then hes just about reviewed the whole Striate Cortex full back catalogue .. quite a task !!!! so now in April 2012 , I’m proud to release something for him in return …..
Running Repairs by Midwich , out this month ..
the whole thing reminds me of a construction plant in full process…. after a corridor break , track two Pennine Interlude adds the final touches to finish the construction ..
Running Repairs which is probably the most remarkable Midwich release to date. A tiny two minute segment of buried voices and howling wind is sandwiched between a slowly evolving granular melody and a single oscillating note both of which run to over twenty minutes. Where are the dainty pulses and head bobbing melodies? Drifting pastel coloured bubbles there was none. Delicate, floating flowers of tranquility had disappeared to be replaced with harsh and grating drones the likes of which appear to be new pathways for Midwich to explore. Familiarity there was none. The hardest track to get through on Running Repairs is Bosky. Bosky is 25 minutes of a note taken for a walk. A primitive industrial buzz that had me wondering if I’d fallen asleep and woken up instead to the Kleistwhar LP’s. I went back and back again and still couldn’t make my mind up as to whether this was stimulating or annoying. Its certainly hypnotic and it is drone but of the kind that only people on Largactil would appreciate. ~ by STRIATE CORTEX on April 6, 2012. This entry was posted on April 6, 2012 at 9:15 am and is filed under Striate Cortex Releases.You can follow any responses to this entry through the RSS 2.0 feed.You can leave a response, or trackback from your own site.